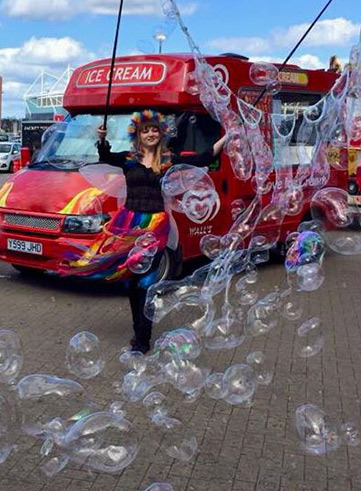 Whether you are looking for bubbleologists to fill town centres with magic, or workshop experts to lead a crowd in making some bubbles themselves, we can deliver bubbly enjoyment to you in a variety of ways, all guaranteed to amaze and please. 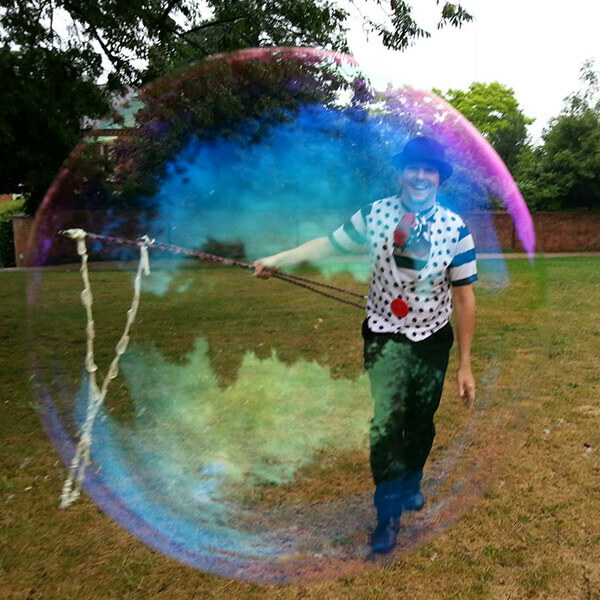 Bubbleologists can be stilt walkers or foot characters, and our special home brewed bubble mix allows us to really have fun and experiment with the bubbles. 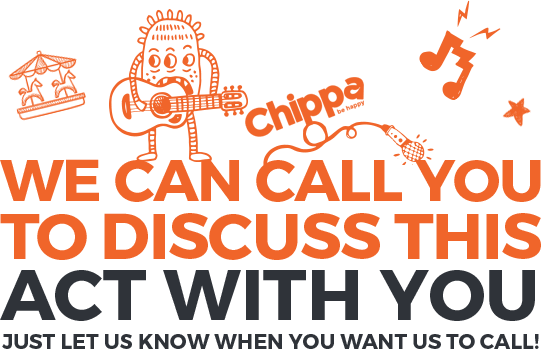 From giant bubbles to thousands of small ones. 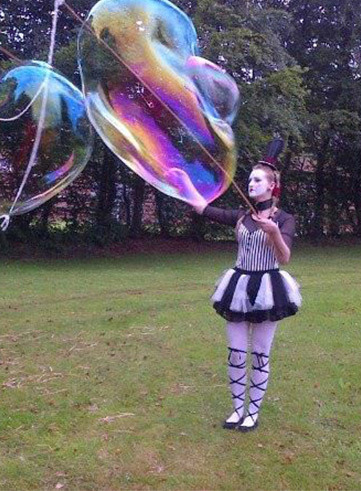 Our performers will create a bubblicious atmosphere with their guests, letting them get involved with smaller bubble wands for kids and adults to play with. 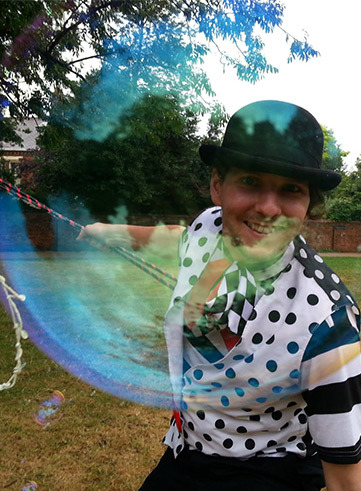 For corporate or other smart functions we can provide sculpture bubbleology. 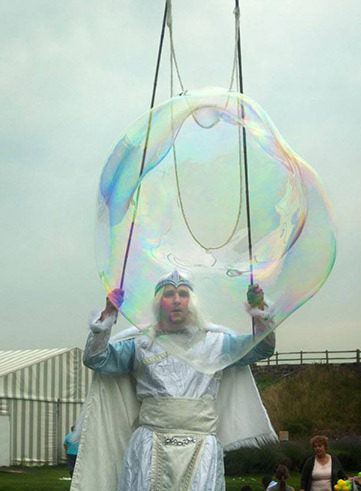 Creating and teaching guests to make sculptures out of bubbles using nothing more than two little bubble blowers, dry ice, smoke and some luck.